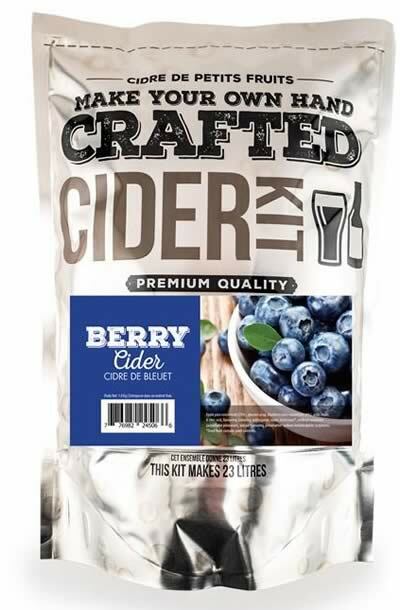 Makes 23 litres of delicious sparkling blueberry flavoured apple cider. Requires 1 kg of sugar to make a cider of approximately 5% ABV. Tried and tested by professional brewers. Make your own hand-crafted cider with these outstanding kits. Crisp, sweetness balanced by the tartness of apples make this beverage a real crowd-pleaser. Let your family and friends see your creative side when you serve them these delicious hand-crafted ciders.